Is Your Business Looking for Outdoor Yard Space or Container Storage Rentals in Ottawa? 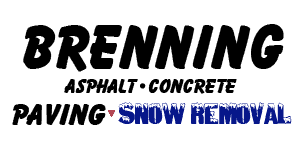 At Brenning Paving and Construction, we have acres of yard space available for rent in Ottawa South. For your indoor storage needs, we have a number of storage containers available for monthly rent starting at just $195/month! Conveniently located off Leitrim, our storage solutions offer a safe space for local businesses to keep and access their tools, equipment, vehicles and more! Reach out today and let us know how we can help.